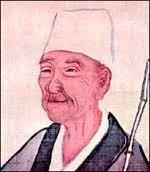 A master of the hokku, Matsuo Basho (1644-1694) has helped readers achieve a deeper thought process through his works. Rumored to be the son of a samurai, which would surely account for his sense of honor and discipline, and confirmed as a scholar of Todo Yoshitdad the influences in his life made for very though provoking literature. Ever deemed a wonderer and a teacher, one can see that his time spent in meditation and in his walks has proven to be beneficial. 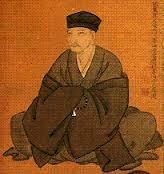 In the simplistic style, Basho shares ponderous reflections and truths which have spanned centuries. His work has been the inspiration for many who are novices to poetry as well as a litmus test to those who have practiced the art of haiku for years. 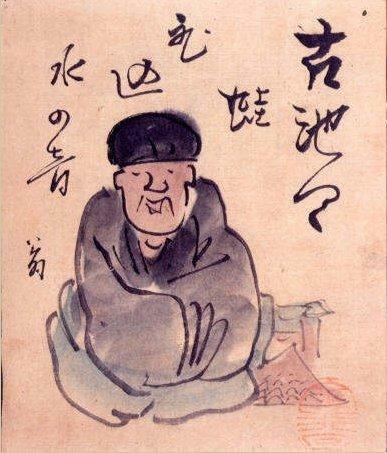 Different from the general misconception that hokku and haiku are the same, one may be surprised to know that Mastsuo Basho and his master (for he was a servant in his house) Yoshitdad composed several hokkus together. They even produced an hundred verse renku. Hokku poems are 5-7-5 with an addition from another poet of 7-7. Haiku poems are 5-7-5 in format and are published individually with no additional contributors. 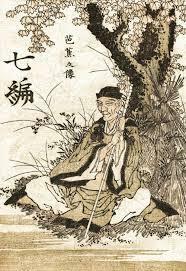 Renku poems are in their simplest of definitions a collaboration of hokkus into one work; that is that one poet makes the beginning stanza and then another poet makes the next stanza and another after that and so forth. 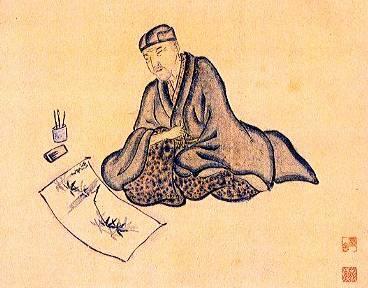 Most of the work of Basho is haiku. These three line poems may look like simple, yet they are intended for deep meditation. 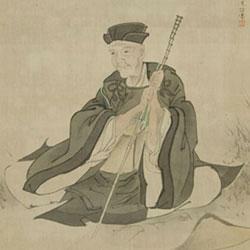 At the surface, one will see the general meaning in a poem by Basho. In the poem Ungraciously one can see that there are several things which could be considered. First, one needs to consider the state of the cricket. Why is it ungracious and why should it be grateful? Perhaps the cricket is under the helmet of a living warrior and is being protected. However, the cricket could just as easily be under the helmet of a fallen warrior. Secondly, the great empty helmet needs to be contemplated. Is the emptiness physical or does it refers to the state of man as they are in war. Could this be a reference to the mindlessness of war? One could easily interpret that the armor is of no use and has been put aside (as in a time of peace). If this is the case then could the cricket be yearning for a time of war. Then again the helmet could be sitting in a bloodied mess of armor on the ground in which case one could conclude that the cricket is ungrateful that he survived the battle. Thirdly, one needs to address why the cricket is singing if he is in a state of ungraciousness. 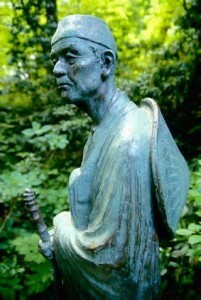 Due to the wisdom found within his words, Matsuo Basho acquired quite a following of disciples. Where I am sure that the poet was rather humble by his followers, it is clear that his lack of solitude played greatly upon him. He stated once that “disturbed by others, I have no peace of mind”. His poem Don’t Imitate me puts it bluntly clear. As displeased as it appears that he was with his “disciples” , his followers were many. At one point, Basho closed the gates to his hut and refused to see anyone for a time. However, because he was a scholar of Buddhist teachings, his belief in greeting the world as opposed to avoiding the world made him reopen his doors. 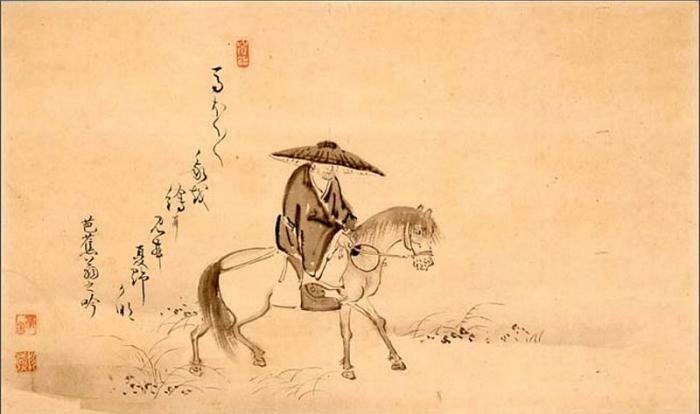 Reading the haikus of Matsuo Basho, one will start to realize that there is a deliberate (and I do believe successful) attempt to show the fragility of man as well as the connectivity with everything in existence. The emotions and the subject matter changes, as does the manner of a man, but the overall connectivity stays strong. In the poem It is with awe the reader will see the connectivity with nature as well as the inability for man to fully grasp the wonders of it. However, if one looks at the poem Eaten Alive the reader will see that there is a vivid lesson that man is not as high and mighty as one may presume. Matsuo Basho’s poems tend to lean on the naturalistic side of the poetic spectrum. It is not that these poems are void of emotion or that they are intended only to give praise to the natural state of things. What is intended is that the reader contemplates and explores the emotions invoked by the poem individually. Where it is common in modern haikus to state such emotions as love, hate, jealousy, etc. the practice of Basho is to let the reader determine what emotion is relevant on his or her own. Going back to the Eaten Alive poem, one can draw the state of poverty, loneliness, regret, hostility, tranquility, acceptance, humbleness, and perhaps even a yearning for death from the poem. What emotion becomes dominant is of course the whole point in pondering the poem.